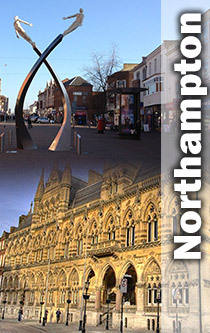 Whether you want to take a short course in Excel or Microsoft Access in Northampton. Or you want to brush up your web design skills. Maybe a re-design of your company brochure or using Microsoft Project to arrange your next project. We can come to your Northampton based company or you could come to a convenient training centre. This way you can get out away from distractions giving you the environment to concentrate on your training. "Very good. Learnt some useful info and tips. Will help a lot"